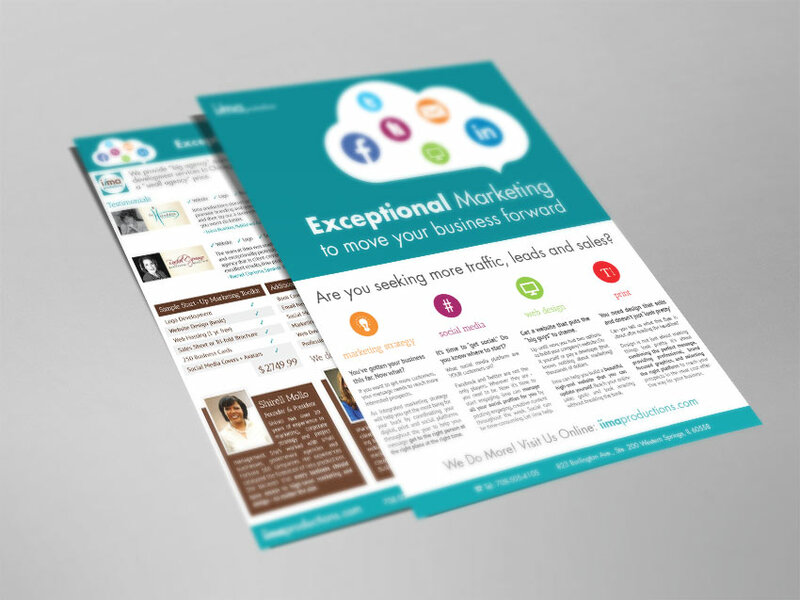 Want the best looking sell-sheet to hand out to prospective customers? Our graphic design team specializes in company flyer design. Have them printed or saved as a web-friendly PDFs. Example: Two-sided sell sheet design for Chicago area marketing agency. Learn more about our graphic design and creative services here.